The government has unveiled plans to give the state the lion’s share of the money from vast new oil discoveries. Will this wealth be invested or squandered? BY TRADITION Brazil invests little and saves less. Brazilians like to borrow and spend, and ao inferno with the future. This may be a legacy of stubbornly high inflation for most of the second half of the 20th century. It may also be an inheritance from further back. 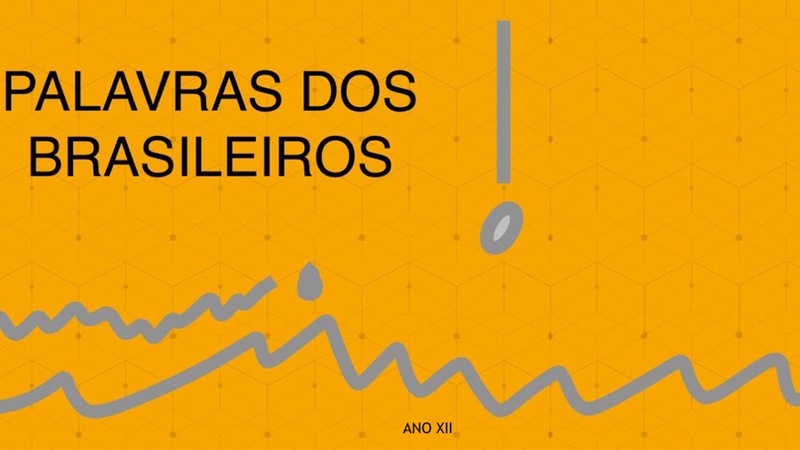 Eduardo Giannetti, an economist and philosopher, thinks that the Brazilian ethnic mixture of indigenous nomads, Portuguese settlers seeking a quick fortune and Africans brought to the country in chains bequeathed an entrenched habit of spending now and saving some other time. Whatever the cause, the discovery in 2007 of potentially vast new offshore oil deposits deep beneath the Atlantic seabed will be a crucial test of Brazil’s moral fibre: depending on how it is used, this new wealth could help the country overcome poverty and underdevelopment, or exaggerate its spendthrift ways. After almost two years in which his government has pondered the question, on August 31st President Luiz Inácio Lula da Silva unveiled four new bills setting out how the windfall should be gathered and spent. His rhetoric on what he called “independence day” was triumphalist. 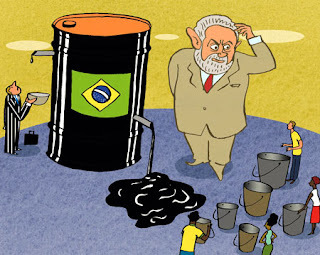 The oil deposits were “a gift from God,”“a millionaire ticket” and “a passport to the future.” But he also pointed to the problems that oil has caused some economies, and explained how Brazil plans to avoid them. The bills, which have to be approved by Congress, will not affect existing exploration and development contracts held by Petrobras, the state-controlled oil company, and five foreign oil companies. These contracts govern parts of the Tupi field, which contains between 5 billion and 8 billion barrels of oil. But plenty of oil and gas would fall under the new laws. Officials believe that in all, there may be up to 50 billion barrels of oil and gas offshore—enough to turn Brazil into an oil giant. One bill declares the oil in the new fields—dubbed pré-sal because they lie beneath a shifting layer of salt—the property of the state, rather than of the companies that buy concessions. In each block, half of any oil produced would go to the state. The remaining half would be subject to a production-sharing agreement between Petrobras and any companies that partnered it, in proportion to their costs. Another bill creates a new state oil company called Petrosal to represent the state’s interests in each block. In theory this will be a small entity, staffed by technicians. In practice it may swell, particularly if it is controlled by politicians, as they may stuff it with supporters. The state will also inject the monetary equivalent of 5 billion barrels of oil into Petrobras, with the aim of ensuring it has the financial muscle to remain the dominant operator. Since 60% of Petrobras’s shares are traded on the market, this capital boost will dilute existing shareholders. The company’s share price fell sharply on the day of the announcement, wiping $7 billion from its market value. In addition, the government plans to set up a social fund to spend Petrosal’s billions. The reason for doing so, according to Mauricio Tolmasquim, head of the state-run Energy Research Company (EPE), is to give the government more control over the oil business. EPE looked at the regulatory regimes in the 20 countries with the biggest oil reserves. Only three—the United States, Canada and Brazil—operate a pure concession system with minimal state involvement, it found. The new set-up, says Mr Tolmasquim, would allow the government to take things such as the exchange rate into account when it takes decisions on exploration. Even if Congress heeds Lula’s plea to act speedily, it cannot approve the bills until December. In practice, they may become bogged down by wrangling. One of the new measures reduces the share of oil revenues that go to the states and municipalities closest to the fields, aiming to spread the wealth more widely. That is reasonable but will face political resistance. José Serra, the governor of São Paulo and the man opinion polls tip to succeed Lula in a presidential election next year, has urged Congress not to rush. The government spent 22 months coming up with its proposals, so congress and society should also be given time to debate them, he says. It would certainly suit his campaign if they did. Conversely, the electoral chances of Dilma Rousseff, Lula’s chosen candidate, might be boosted by speedy approval. There are still many details to be sorted out. The proposed social fund was originally conceived as being earmarked for education and infrastructure spending. It was supposed to be inspired by Norway’s oil fund, most of which is saved. Now its mandate has spread to the environment, culture and even the financing of new industries. The worry is that the money will be spent today rather than saved or invested, further bloating a state whose revenue is already equivalent to 36% of GDP, compared to 20% in Mexico. Of course, these are nice problems to have. And Brazil is better placed to deal with them than many other countries. Still, as Lula pointed out, what looks like a winning lottery ticket can all too easily become a curse. Anyone who has been following the recent corruption scandals in Brazil’s Congress will know that such a disaster is well within the powers of the country’s lawmakers.